This week is a very important week in the history of Ghana. Ghana is celebrating their independence this weekend and will be going into election this year, 2016. The country has been peaceful and elections have been conducted peacefully. The election coming up promises to be peaceful. My Sport has put together an interesting project to facilitate peace and ensure that everyone maintains peace into the election and through the year and beyond. 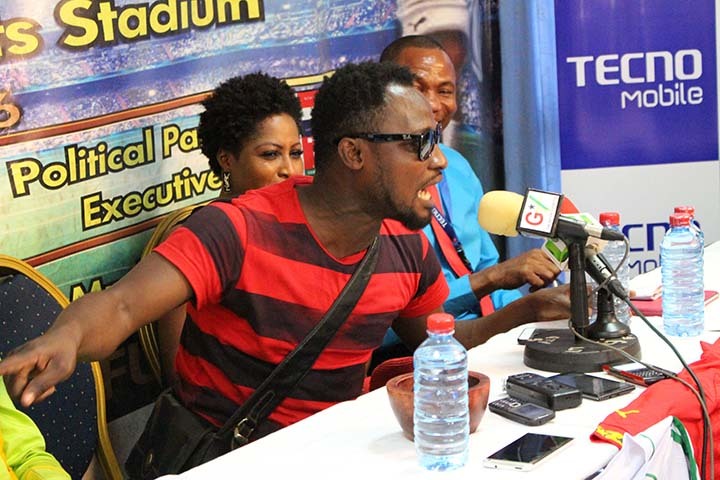 There was a press release to introduce the Ghana Peace Match and the Ghana Peace Walk yesterday, 3rd March 2016. The reason for this project is to encourage everyone to continue to live together in peace and unity. This project brought together by MySport.org is being sponsored by TECNO Mobile in Ghana. On Sunday, there is going to be three different matches in the Ghanaian Sport Complex. The jerseys were unveiled this morning. The first match will be between Christians and Muslims—the Muslim brothers led by Chief Imam Sheik Osmanu Nuhu Shaributu will be resent as well as Christian council led by Dr Kwabena Opuni Frimpong. Religion causes strife is some communities, but sport, especially football brings people together and this is to be seen when Christians and Muslims come together to play. The second match will be between parliamentarians and elected officials. 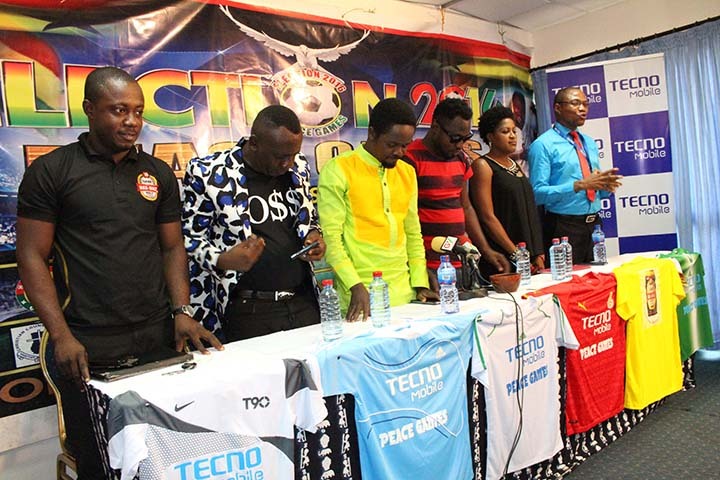 The final match will be a face off between Funny Face, a TV Comedian/Actor and another TV/Movie actor. They had a seeming face off this morning and will be showing off on the pitch to see who is going to come out tops. The Peace Games said to hold on Sunday, March 6, 2016 at Accra Sports stadium. Stadium gates will be open by 10am and the main event, (Opete 1XI vs Akroboto XI) will start at 3pm. You should come along to Accra Sports Stadium and have fun with your family. Gate fee is 5 GHC for regular and 10 GHC for VIP. The VVIP is reserved for dignatries like Jerry Rawlings and Nana Akofoh Adoh that will be in attendance. 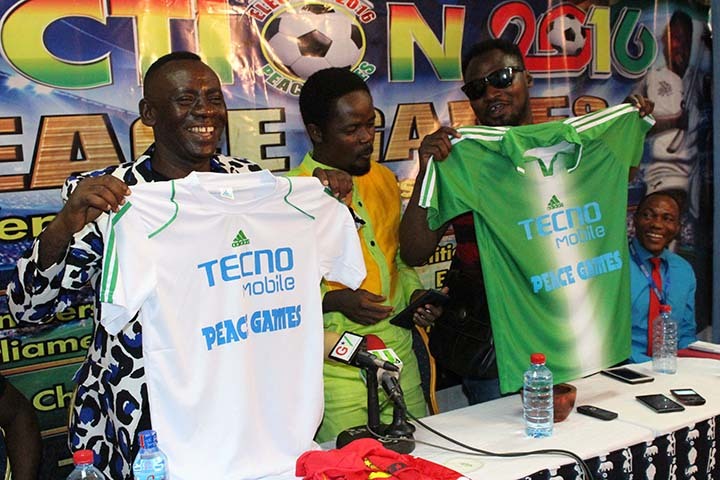 TECNO as the lead sponsor is also going to be handing out some special gifts. Stop at the TECNO Stand to take your special gift at the event and experience the Droidpad 8, Phantom 5 and TECNO Camon C8. See you there, it promises to be fun. Our proud sponsors, Tecno Mobile our headline Sponsor, Lucky Herbal Center, Max Malt, Man Capital, Medi Moses Prostate Center, Samarenka Sports shop and Ideal.